East Kilbride Community Trust (EKCT) has unveiled exciting plans to build a 4000-seater multi-purpose Community Stadium in undeveloped land off Hurlawcrook Road, resulting in significant economic and social investment in the community and create new jobs and apprenticeships. A PAN (Proposal of Application Notice) has been submitted to South Lanarkshire Council, which starts a process of public consultation prior to the submission of a planning application. 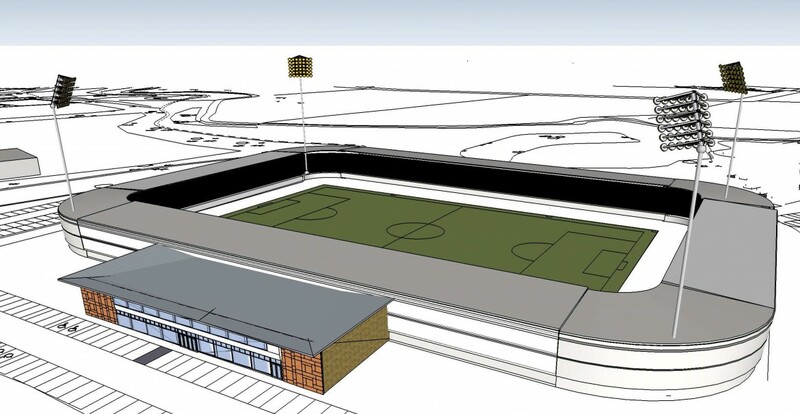 The purpose of the consultation is to unveil plans for the new Community Stadium in East Kilbride, enabling the local community to be involved in the planning process at the outset. The consultation will include a Public Exhibition outlining plans for the Community Stadium which will feature an 11-a–side 3G football pitch, Fitness & Well-being Rehabilitation Suite, boxing and martial arts club, multi sports hall, which will also accommodate children with additional support needs, a conference room and facilities for sports training and mentoring. The plans follow on from the hugely successful K-Park Training Academy, which has become a vital resource at the heart of the community as it continually strives to promote the positive effect sport and physical activity can have on the lives of people in East Kilbride and the surrounding areas of South Lanarkshire. K-Park has continually benefitted everyone in the community since it opened in 2011, including South Lanarkshire Council, all schools in East Kilbride and many in the South Lanarkshire area, over 100 football teams, charities, businesses and visitors to Calderglen Country Park, showing clear evidence of the need for a new larger facility. The Community Stadium will not replace K-Park but instead work in tandem to continue to provide even more clubs and schools, and the wider community, the chance to take part in various sports and to get fit and healthy. Monique McAdams, Chief Executive of EKCT, said: “We are very excited about our plans to build this incredible Community Stadium in East Kilbride and create so many jobs for the people of East Kilbride. “Our ethos is to bring the town together through sport and community spirit, and promote a healthy lifestyle which is exactly what having this stadium on our doorstep will allow us to do even more. “This is all about giving everyone the chance to benefit from participating in sport – after all, we know that taking part in sports can really change and improve people’s lives, especially youngsters who may be tempted down other routes. Mark Horner, East Kilbride FC Chairman, said: “We are delighted to hear about the Trust’s impressive and exciting plans for a new Community Stadium in East Kilbride and support them 100%. 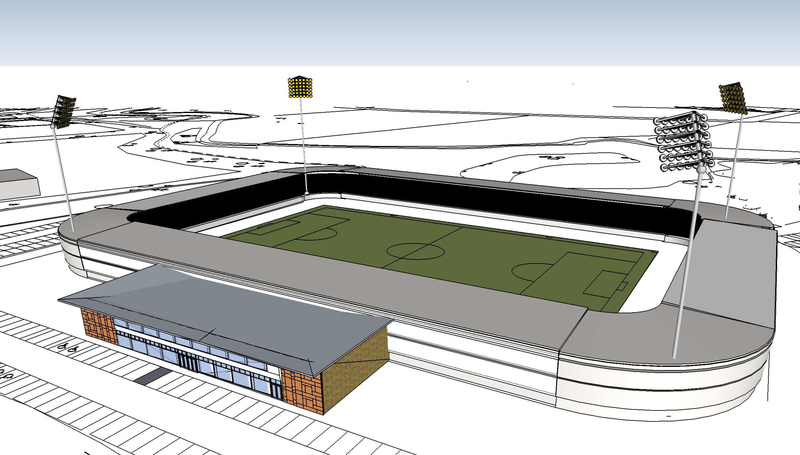 The Trust is inviting everyone to attend a Public Exhibition Consultation on Thursday, 19th November, from 4pm – 8pm, at K-Park Training Academy, Calderglen County Park, to learn more about the plans, benefits and vision for the Community Stadium. EKCT was launched in 2009. In addition to the success of K-Park the charity has also made a huge impact on the community and the people of East Kilbride by creating Community Allotments for children with additional support needs (ASN), organising Annual ASN Family Fun Away Days and Christmas parties, and various third-party charity fundraising events, including the John Hartson Foundation and Anthony Nolan Trust.